Before he died at the ripe old age of eighteen, my dog led me on daily walks around the block and through the universe. Sometimes, I stopped to look at a teeming colony of tiny black ants filling a sidewalk crack or at Venus gleaming next to a new moon in the darkening sky. I have often reflected on life—an inexorable force that appears to be just about everywhere – and on a God who presides over this glorious existence, whose adherence to law and utter absence of arbitrariness is elegant perfection itself. I marvel at the wondrous gift of His Only Begotten Son, whose grace gives us immortality and, if we repent and stay the course, eternal life. God gave to Adam the “breath of life” when he put into him his spirit. Is not that same divine breath the life of all things? But what about this Earth? With everything created spiritually before it was created spiritually, does not the Earth itself have a spirit? And does the Atonement work not only to sanctify men and women, but also all of God’s creations, including the Earth? And if so, what can we do – indeed what should we do – to participate in the sanctification of this God-created home? The fundamental doctrines of the Church of Jesus Christ of Latter-day Saints are grounded in an Eternal Father of all of humankind, who is omnipotent, omniscient, omnipresent, all-loving and perfectly just, and who created a home for his children to gain experience and physical bodies. From a time long before our birth we have been taught that perfection is a permanent union of body and spirit in a state of eternal happiness. The permanent union of body and spirit is a gift to all mortals through the Atonement of Jesus Christ. Perfection and eternal happiness follow personal repentance and sanctification through the Atonement. It makes perfect sense, then, that the world on which we will live as celestial beings will have similar attributes. It is a living entity, it will be cleansed, it will become physically and spiritually united forever, and it will be the eternal home of eternal beings. This simple yet profoundly complex relationship between God, his children, and the Earth should move us to consider not only how we can sanctify ourselves as individuals, but how we can participate in sanctifying the earth. The Earth has been, is, and will be perfectly obedient to God, and it “must needs be sanctified from all unrighteousness, that it may be prepared for the celestial glory.” Brigham Young taught that “the animal, vegetable, and mineral kingdoms – the earth and its fullness – will all, except the children of man, abide their creation – the law by which they were made, and will receive their exaltation.” But what about the imperfect mortal men and women who live on this long-suffering Earth? Do we have a role in that sanctifying process or are we merely bystanders, free to do whatever we want with God’s creations because in the end, God will sanctify his creations anyway? The answer lies in the unique characteristics of men and women as children of God who have been given the great gift of agency and provided with an earth as their mortal and ultimately eternal home. The earth will be the Celestial Kingdom, an eternal temple-home. Even though the telestial existence of the earth entails suffering, degradation, and even destruction, it is still a sacred space because of its sacred future celestial role. Therefore, do we not have a Gospel-centered moral obligation to assure that our actions, our lifestyles and our “footprints” are consistent with the sacred future state of the earth? The role assigned by God to Adam and Eve and their progeny as “lords” over all things on the earth imposes a very serious responsibility of stewardship. The cleansing power of the Atonement is effective to the extent that we obey the stewardship mandate, just as with obedience to other divine commandments. Even more, as we exercise our stewardship responsibilities to care for the earth and God’s life-creations on the earth, we become partners in the sanctification of the earth and will enjoy eternity on the Earth in its celestial state. Tad R. Callister, in his masterful work on the Atonement, describes the scope of the Atonement as more than just suffering for our sins. “The Atonement fully extends its redemptive powers to this earth and to all forms of life thereon to the extent necessary to save them from physical, and where necessary, spiritual death.” Thus it is that the great gift of the Resurrection and the blessing of exaltation applies not just to individuals but to all of God’s creations. Closely linked to the law of stewardship are the ordinances of salvation. Through those ordinances we make covenants which, if we keep them, will save us from consequences of the Fall, thereby overcoming physical death and separation from God through the Atonement. We do not receive the ordinances of salvation and make the associated covenants in isolation, however. During our mortal sojourn we are tied to the Earth physically in an intricate web of being, from the dust of our physical creation to the dust of our moldering remains after death. So it is that the Resurrection will raise from the dust of the earth. We are also intimately connected to the Earth spiritually. When God saw what He had created and declared it to be “very good,” He was not simply expressing admiration for the beauty of what He had created. He was declaring that its purpose was key to the fulfillment of His desire for His children to be like Him some day – perfectly happy in an eternal home. That cannot happen in a purely physical state of being or, as Mosiah puts it, in a “carnal nature.” It is not surprising, then, that we are moved by the beauty of the natural world and by the elegance of the cosmos because they are “very good” in the eyes of God. These feelings of spiritual awe are the natural consequence of the role of this earth as our living mortal and future celestial home organized by Jesus Christ under the direction of the Father. Furthermore, this earth on which we live is a living soul in a real and literal sense, with the capacity to feel joy and pain. In fact, we read that the Earth weeps because of the wickedness of men. That the earth is a living entity is a familiar concept Latter-day Saint theology. Heber C. Kimball, for example, declared that the earth “has a spirit as much as anybody has a spirit. Craig Galli, in writing on LDS doctrine and the environment, describes “the LDS teaching that the earth has a spirit and feels pain as a consequence of the spiritual defilement and literal pollution inflicted by human beings . . ..” It follows, then, that if the Earth is pained and weary, the Atonement would serve to relieve that pain. All things created by Jehovah were first created spiritually, something only hinted at in the Bible, but stated clearly in restored scripture and by modern prophets. Joseph Smith described spirit as a more refined form of matter, not susceptible to detection by our physical senses. Thus, it is not difficult to think of animals and plants as having a spirit component which gives them life. But even rocks and air and water? Brigham Young thought so: “The spirit constitutes the life of every thing we see. Is there life in these rocks and mountains? There is. Then there is a spirit peculiarly adapted to those rocks and mountains.” Is that spirit, which permeates all things, “life” in the scientific sense? The fundamental problem underlying the formal recognition of an unfamiliar living association, such as Gaia, is that of recognizing life itself. We are so preprogrammed to recognize life instinctively that the logical basis of the recognition is rarely questioned. What is the definition of life? I remember a conference of the scientific elite that sought to answer that question. Is an enzyme alive? Is a virus alive? Is a cell alive? After many hours of launching promising balloons that defined life in a sentence, followed by equally conclusive punctures of these balloons, a solution seemed at hand: “The ability to reproduce—that is the essential characteristic of life” said one statesman of science. Everyone nodded in agreement that the essentials of a life was the ability to reproduce, until one small voice was heard. “Then one rabbit is dead. Two rabbits—a male and female—are alive but either one alone is dead.” At that point, we all became convinced that although everyone knows what life is, there is no simple definition of life. An organism that lives is “alive” and that dies is “dead,” which has more than a faint ring of circular logic, and its physical constituents are recycled like the dust from which Adam sprung and to which he returned. But is there “life” in a broader sense that informs all physical matter and phenomena? And is the earth, with its constantly changing geology and climate, a living thing? The notion of the earth as a living entity has gained currency , at least in part, among many scientists, who view the earth as a complex “self-regulating” entity, including the “biosphere” (the web of living things), the atmosphere, the waters of the earth, and the land. If the earth is a living entity and if all life on earth has a spirit component, it follows that there would be a spiritual interconnectedness between God’s mortal children and God’s creations which comprise our mortal home. This relationship between spiritual human activity and the condition of the earth’s environment has been considered by philosophers and prophets for centuries. For example, as the Enlightenment unfolded, many theologians were engaged in a robust discussion about the nature of the earth and mankind before the Great Flood and the global changes in both the human condition and the earth resulting from sin. The writings of many of these early Enlightenment thinkers have been ignored or dismissed by modern secular scholars because they are rooted in theological concepts of an Edenic earth, a Great Flood, and sin as an agent of environmental change. However, the fact that these writings are framed in terms of Biblical events does not diminish their relevance or seriousness. There was broad agreement among the world historians of the early Enlightenment that global climate change had occurred in the ancient past and might occur again in the not-so-distant future. Sin was the driving force behind ancient climate change. The degradation of the global environment was the result of human activity, and the fact that it was unintentional made it no less lethal to the human race. Just as humans had changed the environment, so had the environment changed humans. Humans were not just creations of a climate, as had traditionally been thought; they were also, in some very real sense, its creators. In pitching my tent we found three massasaugas or prairie rattlesnakes, which the brethren were about to kill, but I said, “Let them alone—don’t hurt them! How will the serpent ever lose his venom, while the servants of God possess the same disposition and continue to make war upon it? Men must become harmless, before the brute creation; and when men lose their vicious dispositions and cease to destroy the animal race, the lion and the lamb can dwell together, and the sucking child can play with the serpent in safety.” The brethren took the serpents carefully on sticks and carried them across the creek. I exhorted the brethren not to kill a serpent, bird, or an animal of any kind during our journey unless it became necessary in order to preserve ourselves from hunger. And there shall also be heard of wars, rumors of wars, and earthquakes in divers places. Yea, it shall come in a day when there shall be great pollutions upon the face of the earth: there shall be murders, and robbing, and deceivings, and whoredoms, and all manner of abominations; when there shall be many who will say, Do this, or do that, and it mattereth not, for the Lord will uphold such at the last day. But wo unto such, for they are in the gall of bitterness and in the bond of iniquity. It is instructive to note that Moroni prophesied that in the latter days there would be “heard of” earthquakes and storms and wars, but in describing the “great pollutions,” he did not use the phrase “heard of.” Earthquakes, storms, and wars in far off places would be “heard of” in the last days, presumably because of modern communication, although there had always been such events from the beginning of Creation. But the “great pollutions” would be unique to the latter days. Moroni undoubtedly was speaking of moral “pollutions” – after all, he specifically listed a number of serious and destructive moral transgressions – but I believe that the scope of his prophecy is not limited to moral iniquity. The “great pollutions” of the latter days are both moral and physical, and there is a nexus between the two. If we cause great moral pollution, are we not also contributing to physical pollution to the extent that we do it in the name of riches and power, and thus are born their blighted children, want and violence? When I pass through the lovely countryside or fly over the vast and beautiful expanses of our globe, I compare these beauties with many of the dark and miserable practices of men, and I have the feeling that the good earth can hardly bear our presence upon it. . . . The Brethren constantly cry out against that which is intolerable in the sight of the Lord: against pollution of mind, body and our surroundings. [P]hysical and spiritual laws are interrelated. Pollution of one’s environment and moral impurity both rest on a life-style which partakes of a philosophy of “eat, drink, and be merry” – gouge and grab now, without regard to the consequences. Both violate the spirit of stewardship for which we will stand accountable. The alleviation of individual hardship, be it poverty, loneliness, illness or emotional dysfunction, is clearly the target of these admonitions. But what about broader societal ills, such as wars, unequal economic circumstances, and environmental degradation? Is not our obligation to help the needy more than simple individual acts of service or gifts? Are we following God’s law if we slip beggars a few coins while knowingly or negligently living in a manner that degrades this earthly home that we share with them? What about running a completely legitimate business in which we employ unskilled workers at legal wages that we know are not sufficient to assure access to health care, to pay for adequate housing, or to feed and clothe their children? What about wanting and getting the biggest and flashiest car or pickup truck just because it is the biggest and flashiest? What about insisting that taxes be minimized even if it means that protection for the most vulnerable is compromised? And, more germane to this essay, what about living a lifestyle that consumes more food, water, air and biota than we need even to live comfortably, thereby adding yet more drops to the water torture to which the earth is already subject? We know that the adverse effects of climate change and other environmental harm fall disproportionately on the poor. A person who does not have the wherewithal to cope with higher energy prices, the effects of increasingly extreme weather, or rising sea levels, will be more seriously affected by a dramatically changing climate than someone with more resources to deal with those effects. When God said “the earth is full, and there is enough and to spare,” He was not speaking metaphorically. There is sufficient for our individual and collective needs, but there is not sufficient for our individual and collective greed and envy. The goals of growth, improvement in quality of life and protection of the environment can be realized together if we understand and carry out the stewardship that we inherited from Adam and Eve. The convergence of the moral duty to care for the Earth and the moral duty to care for the poor is one of the basic themes of the 2015 Papal Encyclical Laudato Si´. In it Pope Francis declared that we all have a moral obligation to care for the needy of the Earth and to dedicate the necessary resources to protect and improve the environment in which they live. The connection between environmental degradation and poverty is not a matter of Catholic or Mormon doctrine – it is a matter of fundamental morality. In LDS doctrine, personal commitments to morality are evidenced through the ordinances of the priesthood. A fundamental purpose of these ordinances is to provide the covenants through which we can be perfected, through obedience, continuous repentance, and the great gift of the Atonement so as to be able to return home to the Father. In keeping the covenants made in the ordinances, we are thereby sanctified or made holy. And behold, all things have their likeness, and all things are created and made to bear record of me, both things which are temporal, and things which are spiritual; things which are in the heavens above, and things which are on the earth, and things which are in the earth, and things which are under the earth, both above and beneath; all things bear record of me. It does not require any philosophical or theological contortion to realize that if the earth and all things above, on and under it testify of God, we should take care to treat them with the respect due their Creator. This is the fundamental difference between secular environmentalism and sacred environmentalism. The secular environmentalist relegates human beings to just another species in the long and random history of the planet, and often characterizes Homo sapiens as the most dangerous species of all. Sacred environmentalism, on the other hand, is rooted in the divine nature of men and women as sons and daughters of God. It is premised on the notion that just as we can be purified through the Atonement, so the Earth will be cleansed and sanctified by that Atonement. It will not happen just because Christ comes a second time and “cleanses” the Earth of wickedness by fire and great destruction, although that is a process foreseen by prophets from the beginning. Rather, in large part, it will be the culmination of concerted action by the sons and daughters of God who have been sent to be stewards over an Earth created to be their mortal home and ultimately the Celestial home of those who themselves achieve sanctification. There is a pernicious notion in some Christian traditions and even in LDS culture that it does not matter what we do to the Earth because it will all be fixed anyway at the Second Coming. Therefore, we can “eat, drink and be merry, for tomorrow we die.” This is the same depressing point of view of an individual mired in addiction or illness has who does not understand the power of the Atonement. With that power, there is no ill or damage that cannot be healed or repaired. Without it, we might as well resign ourselves to eating, drinking and being merry, for in that state of hopelessness, we will surely die. That is an awful, bleak and disheartening prospect. The first principle of the Gospel is faith in the Lord Jesus Christ. Faith is absolutely essential to keep us on our the road home to the presence of God the Father. In an insightful look at our responsibilities as Latter-day Saints in dealing with environmental challenges, Professor George Handley talks of faith as the capacity “to see our place in the world broadly, as contingent upon a greater and as yet still unknown whole of interdependent relationships.” It seems reasonable and consistent with the destiny of the earth as a sanctified Celestial sphere that those who are granted the blessing to dwell eternally on it will be those who not only have sanctified themselves through the Atonement by obedience to the laws and ordinances of the Gospel but also have, within their own spheres of knowledge, ability and experience, relied on faith to do what they could to care for the Earth and the life-creations on the earth during their mortal lives, thereby helping prepare it for its sanctified Celestial state. Those who willfully or neglectfully harm God’s creations during their mortal life presumably would have a difficult time arguing to the Great Judge that they are deserving of eternal life on the very Earth that suffered at their hands. Lewis Thomas, The Lives of a Cell (Penguin Books 1978) p. 3. 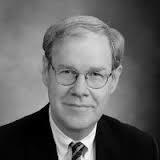 Attorney, Holland & Hart, LLP and Senior Fellow, Wallace Stegner Center for Land, Resources and the Environment, S.J. Quinney College of Law, University of Utah. B.A. 1972, Brigham Young University; J.D. 1975, The George Washington University. The opinions expressed in this article are the author’s own and do not reflect the view of Holland & Hart, the University of Utah, or the Church of Jesus Christ of Latter-day Saints. Acts 17:24-25 (“God that made the world and all things therein . . . . seeing he giveth to all life, and breath, and all things”). Moses 3:5 (“For I, the Lord God, created all things of which I have spoken, spiritually, before they were naturally upon the face of the earth”). See, also D&C 29:31-32. D&C 88:17-20. Joseph Smith taught that the “sea of glass” described in Revelation 4:6 “is the earth, in its sanctified, immortal, and eternal state.” D&C 77:1. See D&C 3:1-3; 88:6-7, 13, 41; 107:84; 1 Nephi 11:17; Moses 7:31. D&C 88:18. See also Craig Galli, ¨Enoch´s Vision and Gaia: An LDS Perspective on Environmental Stewardship¨ Dialogue: A Journal of Mormon Thought, Vol. 44, no. 22 (Summer 2011), 40. Brigham Young, Journal of Discourses (London and Liverpool: LDS Booksellers Depot, 1955-56) (September 30, 1860) 8:191. Tad R. Callister, The Infinite Atonement (Salt Lake City: Deseret Book, 2000), 87. D&C 29:23-24 (“And the end shall come, and the heaven and the earth shall be consumed and pass away, and there shall be a new heaven and a new earth. For all old things shall pass away, and all things shall become new, even the heaven and the earth, and all the fullness thereof, both men and beasts, the fowls of the air, and the fishes of the sea.”). Brigham Young taught, “The terra firma on which we walk, and from which we gain our bread, is looking for the morning of the resurrection, and will get a resurrection, and be cleansed from the filthiness that has gone forth out of her.” Journal of Discourses 1:264. See Galli, n. 14, supra at 36. Moses 7:48-49 (“And it came to pass that Enoch looked upon the earth; and he heard a voice from the bowels thereof, saying: Wo, wo is me, the mother of men; I am pained, I am weary, because of the wickedness of my children. When shall I rest, and be cleansed from the filthiness which is gone forth out of me? When will my Creator sanctify me, that I may rest, and righteousness for a season abide upon my face? And when Enoch heard the earth mourn, he wept, and cried unto the Lord, saying: O Lord, wilt thou not have compassion upon the earth?”). Journal of Discourses 5:171 (“Some say the earth exists without spirit. I do not believe any such thing; it has a spirit as much as anybody has a spirit. How can anything live, except it has a living spirit? How can the earth produce vegetation, fruits, trees, and every kind of produce, if there is no life in it?”). See, e.g., Journal of Discourses 4:215, in which Brigham Young states that “Things were first created spiritually,” and Russell M. Nelson, General Conference Reports (April 2000) 84. D&C 131:7-8 (“All spirit is matter, but it is more fine or pure, and can only be discerned by purer eyes. We cannot see it; but when our bodies are purified we shall see that it is all matter.”). Brigham Young, “When I Contemplate the Subject of Salvation: A sermon delivered on February 12, 1854,” in The Essential Brigham Young (Salt Lake City, Signature Books, 1992, 82. For a review of other religious and philosophical traditions holding that the earth has a spirit, see Galli, n. 13 supra, at 38-39. James E. Lovelock and Lynn Margulis, “Atmospheric homeostasis by and for the atmosphere: the Gaia Hypothesis,” at 3,, Series A. Stockholm: International Meteorological Institute. 26 (1–2): 2–10. Bibcode:1974Tell…26….2L. doi:10.1111/j.2153-3490.1974.tb01946.x. ISSN 1600-0870 (http://tellusa.net/ index.php/tellusa/article/view/9731). Stephen A. Benner, “Defining Life,” 10 Astrobiology 1021 (2010) (https://www.ncbi.nlm.nih.gov/pmc/articles/ PMC3005285/#B13). Merriam Webster defines “life” as “the quality that distinguishes a vital and functional being from a dead body” (http://www.merriam-webster.com/dictionary/life) . See Lydia Barnett, “The Theology of Climate Change: Sin as Agency in the Enlightenment’s Anthropocene,” 20 Environmental History (2015): 217-237. Documentary History of the Church, 2:71–72. Spencer W. Kimball, “The False Gods we Worship,” Ensign (June 1976). Ezra Taft Benson, The Teachings of Ezra Taft Benson at 644 (1988). Encyclical Letter LAUDATO SI´ of the Holy Father Francis on Care for our Common Home (May 24, 2015) http://w2.vatican.va/content/francesco/en/encyclicals/documents/papa-francesco_20150524_enciclica-laudato-si.html. Moses 6: 59-60 (“[E]ven so, ye must be born again into the kingdom of heaven, of water, and of the Spirit, and be cleansed by blood, even the blood of mine Only Begotten; that ye may be sanctified from all sin, and enjoy the words of eternal life in this world, and eternal life in the world to come, even immortal glory; For by the water ye keep the commandment; by the Spirit ye are justified, and by the blood ye are sanctified.”). Moses 6:62 (“And now, behold, I say unto you, This is the plan of salvation unto all men, through the blood of mine Only Begotten, who shall come in the meridian of time.”). See George B. Handley, “Faith and the Ethics of Climate Change,” 44 Dialogue: A Journal of Mormon Thought, No. 2 (Summer 2011), 23 (“[T]he Creator Himself, a being of flesh and bone, [is] familiar with the intricacies of the Creation as well as with the suffering of the earthly condition.”). See Handley, n. 54, supra, at 12-13 (“This apathy and insistence on inaction is akin to urging ‘eat, drink, and be merry, for tomorrow we resurrect.’ It is utter nihilism offered in the name of religion.”). Handley, n. 54, supra, at 15.